Shop AmazonSmile & Support PHASE! AmazonSmile lets customers enjoy the same wide selecton of products as Amazon, but when customers shop AmazonSmile, the AmazonSmile Foundation will donate .5% of the price of eligible purchases to PHASE! Simply go to www.smile.amazon.com, log in to your existing account, and then select Pine Habilitation and Supported Employment as your charity! Any and all monetary donations are welcome! To make donations easy, please use the secure Pay Pal link below. THANK YOU! 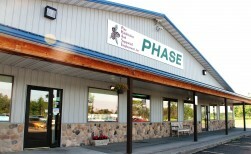 Support PHASE's fundraising through GiveMN.org!